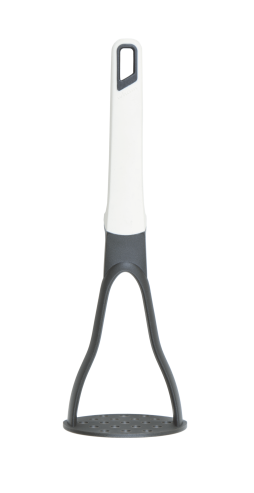 Heat resistant nylon (up to 200 degrees) with soft grip handle. Perfect to use with non-stick cookware. Raised head design to keep work surfaces clean. Hard wearing and durable. Easy clean, dishwasher safe.